It’s beautiful. Compliments to your architect, and whoever designed those Japanese maples (?) in the top-right. Off-topic: Braid fans who like computer science may enjoy this paper. That’s great news. I feel like every time I check in the game just keeps looking better and better. Though it may not make any sense in the context of the game, would you consider adding a photo mode? (potentially as an additional bonus upon completion of the main game). Not a new concept, but a number of recent games are doing this (Infamous Second Son, The Last of Us Remastered, various driving games, etc.) and it seems to be a great way for players to celebrate / appreciate the game and share what they have “witnessed” with their friends on social media sites. Probably serves as free promotion for the games, too. I have to second the photo mode, it would really be great to have for the reasons you’ve said. These types of games, and particularly this one, seems to hold a lot of value in what you see. Capturing and sharing moments would be great. In all fairness though, Steam already has screenshot taking / sharing capabilities. Might not be worth considering in-game options for it. To everyone working on the game: keep up the good work! This is the game I’ve been waiting for since Braid. Well the ps4 share button kinda takes care of that already. I agree that Steam screenshots and PS4 share options are nice features, but a proper photo mode that I’m referring to would be a lot more than that. You could pause the action at any time, move the camera into any position you want, possibly change lighting / focus / filters to get really unique perspectives, etc. Hope to play it soon. But on the other hand there are still many people who are PS4-less who will be getting one for Christmas. So a release around christmas would actually be positive for those people. Awesome to hear that a lot of progress is getting made! Finish-game-mode is probably further from actual finishing that it sounds, but it’s good to hear nonetheless. Great to hear that the project is coming along just fine! I cant wait for the game to be released! The heads up is really appreciated. Thank you for sharing. I was wondering about this game for some time. I’m glad to hear it’s almost ready for show, and it’s one of the reasons that I picked up a PS4. Good luck on the final stretch guys! The landscape looks beautiful. I might have to get a PS4 for this. My PS4 is waiting for The Witness. It’s a hard wait, but everything suggest it will be completely worth it. I think is a great example for programers, artists and workers in general this you are giving here: to take your time to put care and attention in a work (whatever it is) in order to provide the best experience you can, over demands from companies or even costumers to work in haste just to have the thing as quick as possible. I think is a very sensible attitude and even an inspiring one. I appreciate too your sharing your progress through all these years: thank you all! Almost gametime! My PS4 and PC are waiting for this. Jonathan, what are you going to do with your pools of money from this one? Any ideas on what you are thinking of developing post The Witness? Seems like you have a great team assembled, hopefully y’all have something up your sleeves. how about a new trailer then? I’m excited, but I also know that the pre-release phase takes an almost disheartening amount of time. Time budgets must take this into account. So I won’t get too anxious about a release yet. Just let me know when the big marketing campaign has started so I can pay attention, haha. This looks fantastic. Is the iOS version going to be optimized for the Metal framework? It would allow the iDevices to show a lot more of the glory you’ve been working on. Your signup form is broken! Looking forward this game for a some time now :) me exicted! 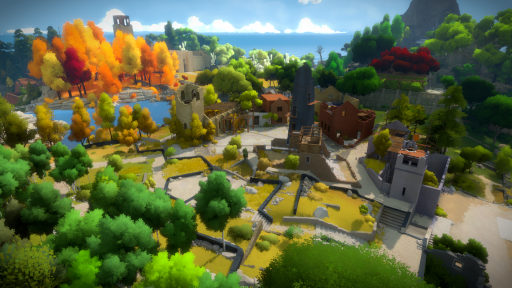 So 3 months ago The Witness was in “finish-the-game” development. Riiiiiiiiiight. I just don’t get why this update was even posted. Just tell us you are still working on the game and it will be available when it’s done. Don’t say mid-2014. Don’t say it’s almost done. Just keep it to yourselves because this industry rarely meets target deadlines. It’s so frustrating. The disappointment caused by missed release windows has actually killed some of my hype for this game. The fact I’m on this page at all shows how much I want to play it but now I harbor resentment for being let down.